Missing Persons of America -Kara Nichols: Is missing teen being exploited? 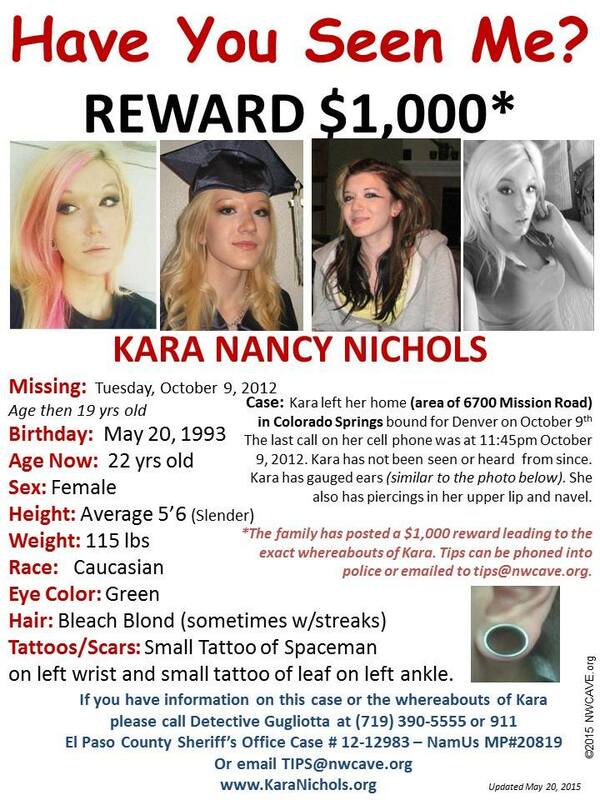 Home » Missing » Kara Nichols: Is missing teen being exploited? Kara Nichols: Is missing teen being exploited? 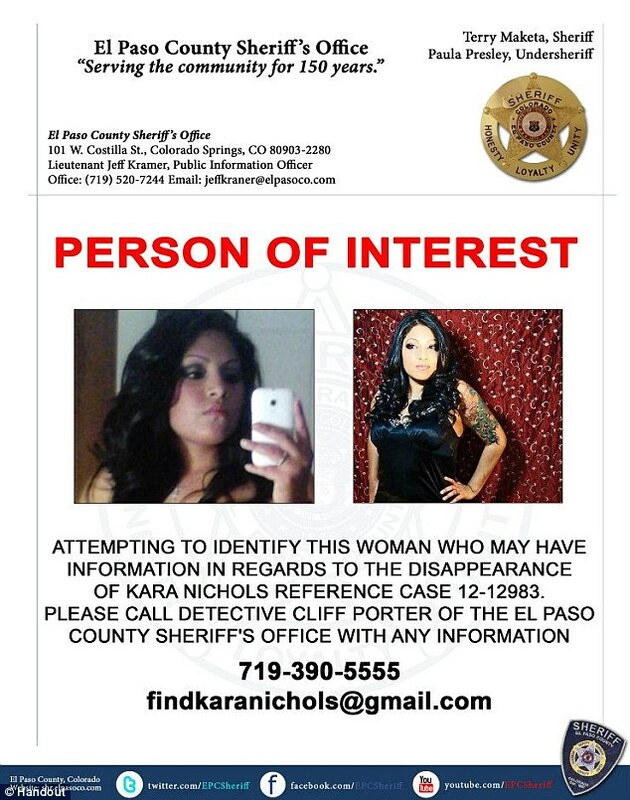 UPDATE 11/21/12 – The El Paso County Sheriff’s Office calls the disappearance suspicious and officials say she might be the victim of a subculture that exploits would-be models, KREX reports. They would not elaborate on what kind of exploitation she might have fallen victim to. There have been other women that were associated with modeling websites that have gone missing, too. Click here to read the story. Also, police are looking for a brunette who was associated with Nichols. The police are not saying how they are connected. There have been some leads that have come in and the police are working on them. Previous story: Kara Nichols, 19, from Colorado Springs, Tex. has been missing since October 9. She works at a Colorado Springs restaurant and also as a model. She has a profile on the website ModelMayhem.com, reports the Denver Channel news and her family believes she may have booked a modeling job in Denver and left to go there.